The new HK B-25”H” model in 1/32nd – we are assured it will hit the shelves in the US this week – well the decals supplied aren’t the strongest part of the kit – we have a remedy however – in the form of EagleCals sheet EC#146 – three different markings choices for three colourful ships – let’s look at the decal sheet a bit closer and show you the real aircraft to compare the accuracy shall we? As I was saying….. You can almost be sure that the choices for the new – otherwise-excellent Mitchell “H” model in 32nd from HK Models will suffer in the decal department – to remedy our decal pain we have EagleCals’ new sheet here – number EC#146 – and on that sheet we have three pretty colourful birds to complete the quality finish of the kit – but before we look at these aircraft and the pictures of them in actual service let’s start with what’s inside the pack and the quality thereof. Inside the Zip-loc bag (sent with hard cardboard package) we got a large A3 coloured instruction page folded into smaller A5 sections as well as two sheets of shiny decals printed by market leaders Cartograf in Italy. The instructions are very helpful – they open up to give you a painting template for painting the nose of “Clana Louise” (you will need some making tape) and placement of the Hamilton standard prop decals. You are given three profiles form side on as well as top down and underwing decal placement guides which take the guesswork out of decal positions. 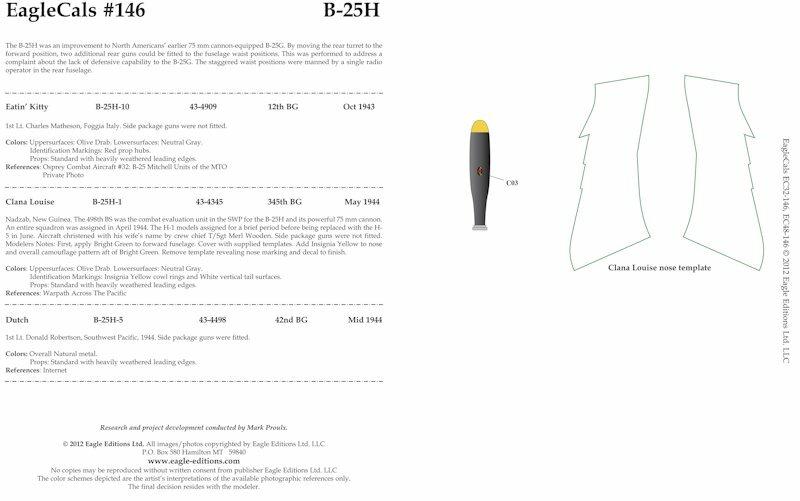 There is text accompanying the three aircraft there - Pilots and particulars of each aircraft including whether they had gun packs and the colours of each are included as well as a little about the history of each aircraft. Credit is given for the research to the peerless Mark Proulx who does most of Eagle Cals research and rarely (if ever) puts a foot wrong with his research. The decals themselves are thick and shiny – this would be a problem usually but I have used these decals which are printed by Cartograf of Italy before – they are actually really tough and can be handled and manipulated a lot before setting if kept wet which is a bonus for any large decals and especially the nose markings. I have used their decals a few time and found them to adhere strongly and to sink nicely into the many tiny rivets that are on this kit. I am really sorry I do not have a Mitchell wing to practice this decal on – BUT I have used EagleCals decals before on both of my P-51D Mustang and Pacific Coast Fw-190A3 kit and can tell you that although they look quite thick and glossy these decals settle down into holes and are able to be handled a lot in use. I really like them and would vouch for them totally. Cartograf has a great name in the business and it is easy to see why when they print such high quality decals. The details of the printing on the sheets are fine and precise – the colours are strong and the whites are not opaque. The decals are in register and there is no erroneous printing – kind of what you would expect but nice to see no one has fallen asleep on the job! Top in the quality stakes as usual from Eagle Cals. 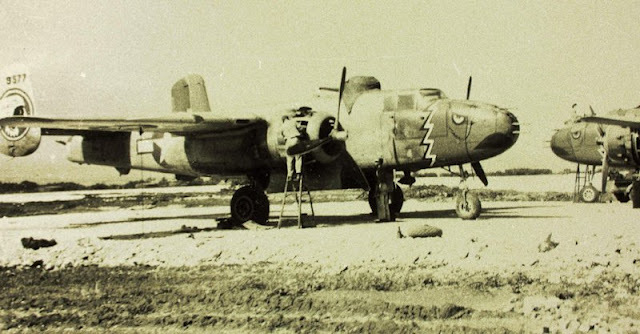 There is a sheet of national marking for the wings and fuselage supplied with enough for two of the three of the aircraft – your kit decals will suffice if you need more – include interestingly are the more faded blue sometimes seen on the aircraft of this period. 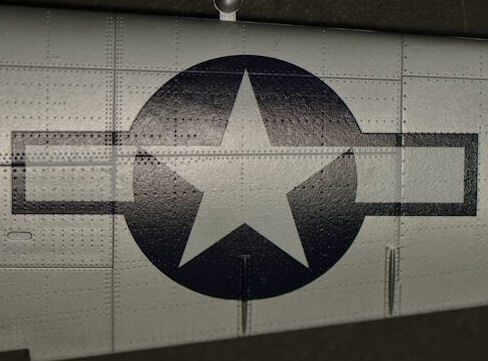 There are more than enough Hamilton standard propeller decals to go around as well! The carrier film on these decals is pretty minimal – I held this decal to the light so you can see a rough ratio – it is good that they have tried to use as little as possible when these were printed. 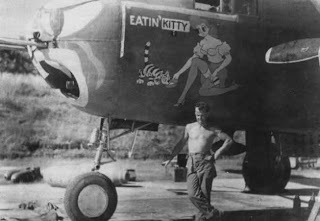 Belonging to the 82nd Bomb Squadron of the 12th Bomb Group "B-25 Eatin' Kitty" had a path through the 321st, then 340thBG and is a really well known scheme when it comes to B-25H’s and is sure to be popular. In Olive drab oversides with neutral grey undersides this kite had a large “43” painted on the twin vertical stabilisers along with its serial number painted in yellow. The colourful nose art was painted by Norman L Harms and you can see it in the pictures below with the artwork by Eagle Cals a very close match. 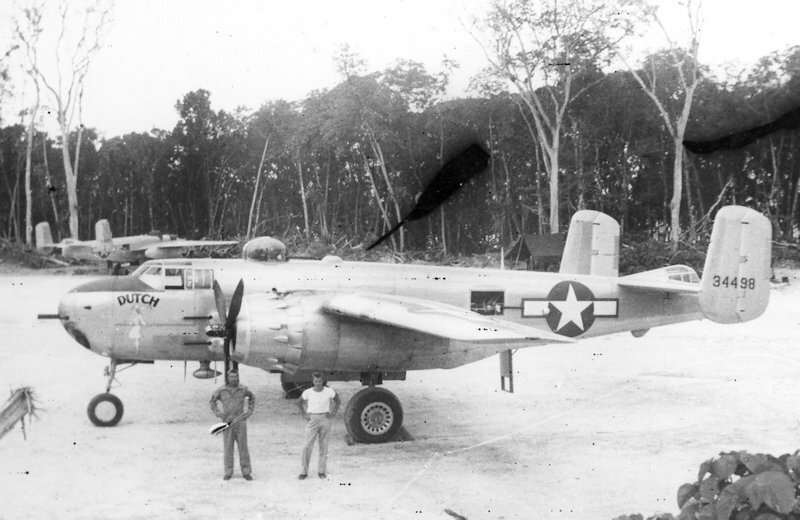 B-25H-1 "Clana Louise" Unit:, USAAF Serial: 43-4345 Nadzab, New Guinea during 1944. 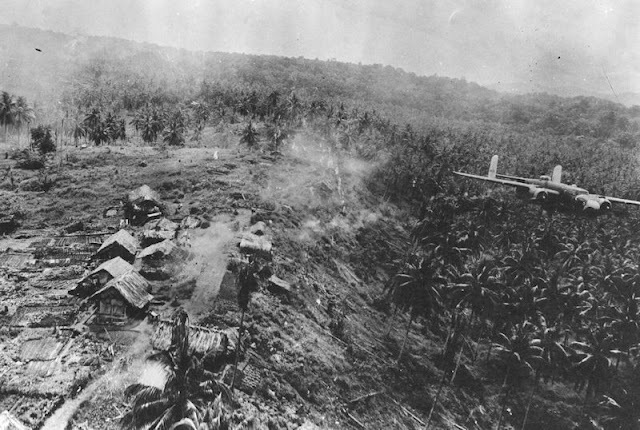 The aircraft is camouflaged in standard Olive Drab over Neutral Gray, with yellow cowl rings and white vertical stabilizers. 'CLANA LOUISE' is in yellow with black shadow edging. The aircraft is not equipped with the side package guns commonly used on gunship. 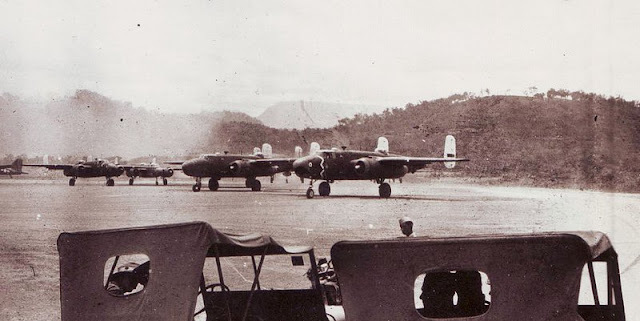 The whole squadron had the colourful “Falcons” nose art which – along with the big cannon and several machine guns would have scared the heck out of any Japanese opposition I would think – that combined with low level tactics and the sound of the two radials of the Mitchell!! 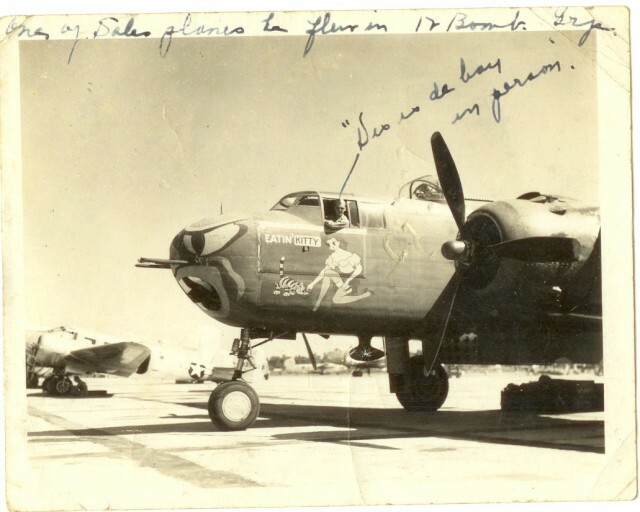 I found many pictures of aircraft from this squadron but none of this particular aircraft - so im sorry but I do have many other pics to show you the falcon head that you are supplied decals and painting template for. 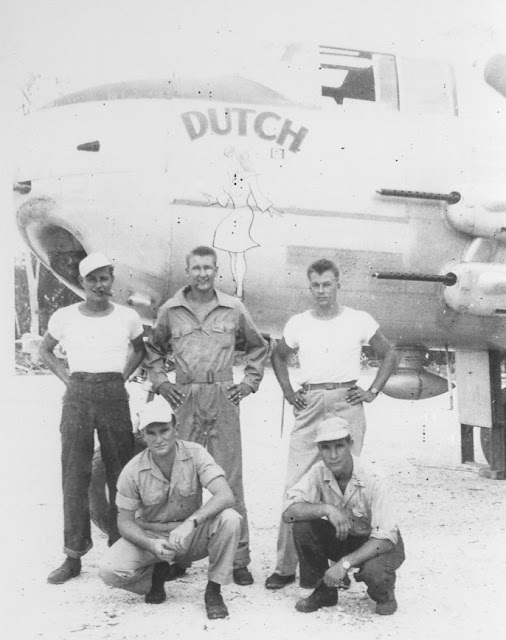 "Dutch," was a B-25H named by its pilot, first Lt. Donald C. Robertson, after his wife’s nickname. 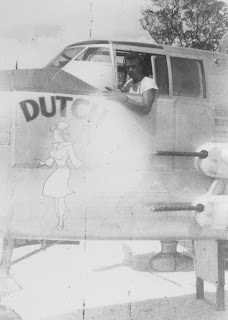 It was an all NMF bird – quite clean in markings except national markings and aircraft serial numbers on the tail – of course as well as the lovely nose art of Robertson’s wife. Roy Anderson the co-pilot at the time of this photo being taken - is pictured here in the cockpit in this wartime photo – you can see the similarity in the artwork from Eaglecals here. 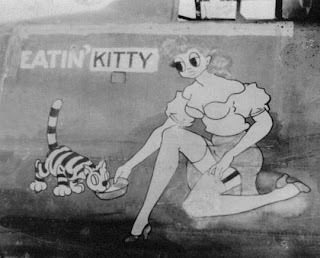 Another picture of the front end - with five of the six bomber’s crew - showing off the nose art - I think this is a very nice reproduction and brings a touch of neat class to an otherwise often beaten up aircraft, a great point of difference to a beaten up O/D aircraft! With this set of decals you have the trinity worked out – top quality decal quality from Cartograf that work very well, great artwork that match the precise research - that will do me for a decal set – ohh and don't forget the great choices – I believe ill be doing a bit of “Eatin’ Kitty” when the kit comes onto my bench! My many thanks to Judy and Jerry at EagleCals – check out their new website where you can get these decals directly.